On April 23rd, 1999, the Silver City Gospel Mission purchased a building next to the Mission from Mr. Arthur L. Sierra. Mr. Sierra deducted a generous amount from the purchase price because one of his family members had been helped by the Mission and in return, we named our new women and children’s shelter ‘The Sierra House’ in his memory. This house, located at 110 S. Bullard St, is 1200 SqFt with three bedrooms, a living room, kitchen, laundry room, and a bathroom. One bedroom, is reserved for the Sierra House Manager and the other two contain bunk-beds suitable for two families or four individuals. Per bequest, our objective is to house, feed, and provide work skill programs and counseling which will help to integrate single women with or without young children back into the community for up to a period of twelve months. It is managed by a night supervisor and governed by an advisory board who report directly to the Gospel Mission Board of Directors. The Sierra House Women and Children’s Shelter is a medium to long-range shelter designed to help women with or without children integrate back into the community. Please see our case worker at the Mission Monday-Friday between 8:30-1 for more information or to schedule an appointment to fill out an application for long-term residency. The Sierra House is a ZERO TOLERANCE FACILITY: This means absolutely no DRUGS, ALCOHOL OR MEN Search of the facility and belongings can and will be conducted at any time that management suspects a violation of any rule. 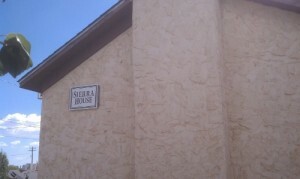 Share the post "The Sierra House Women And Children’s Transitional Shelter"